For 50 years, Air Enterprises has been providing industry-driven, all-aluminum air handling solutions to top companies and leading institutions around the world. Air Enterprises has the capability to execute a project from cradle to grave. In addition to full replacement, our staff has the knowledge and experience to work with any environment to take the facility to the next level. Contact us today to learn how your facility can optimize its air handling and energy recovery systems to reduce maintenance and replacement costs. Air Enterprises provides unique company capabilities that many other manufacturers don’t offer. Our construction method allows us to make units that fit a site and situation precisely. We routinely design and fabricate units that other manufacturers won’t consider due to challenging site conditions. Every Air Enterprises’ air handler is custom designed for your optimal needs. 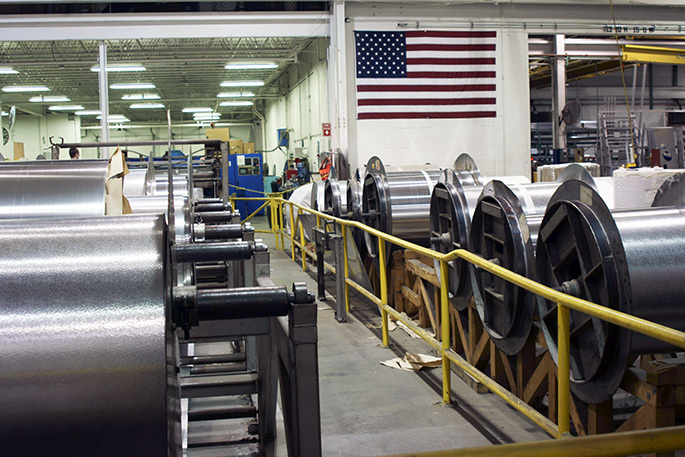 Custom shipping splits allow us to construct and ship units up to 400,000 CFM. Unit size flexibility means lowest first cost capital. Air Enterprises engineers consider numerous variables when formulating successful budgets for projects. Environmental factors, available mechanical resources, and rigging constraints are among the considerations we account for when we formulate risk mitigation strategies. Dedicated project management for each design and installation ensures consistency throughout installation and after delivery. Project management provides a management of costs, schedules, control of scope and overall client satisfaction. The logistics of shipment and installation are controlled by one responsible party. Air Enterprises provides single source, turn key air handling and energy recovery solutions. View our capabilities in challenging applications.